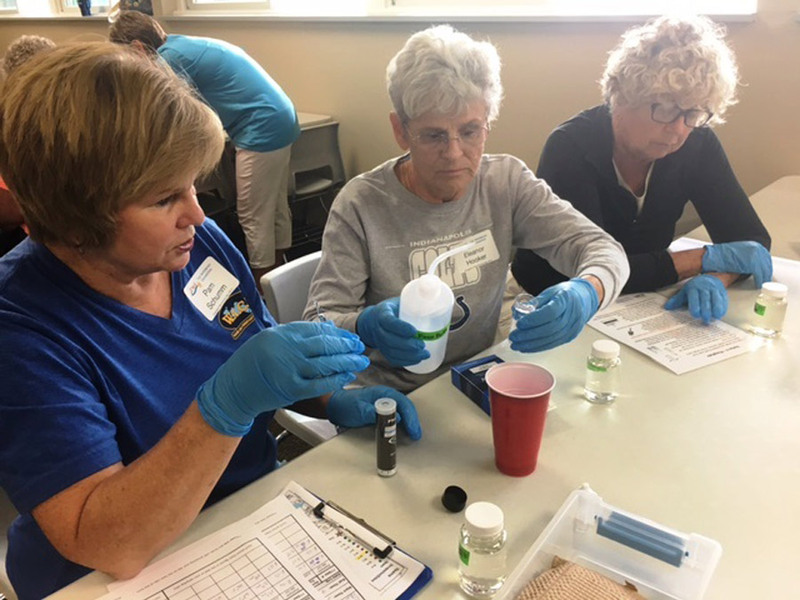 NORTH WEBSTER — Join The Watershed Foundation on Sept. 20 and be one of 150 plus volunteers to assist in monitoring water quality at 100 stream sites throughout Kosciusko, Noble and Whitley counties during the second annual Snapshot Water Monitoring Day. Snapshot Day volunteers will become citizen scientists monitoring temperature, dissolved oxygen, and transparency at local sites. 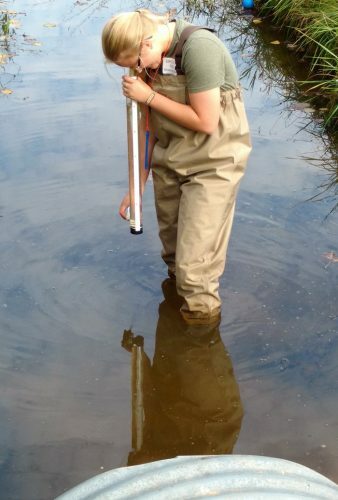 You’ll also collect water samples for analysis of bacteria, nitrate, phosphate and pH levels. The valuable data collected by Snapshot Day volunteers will be used to drive action for clean water. “We test the streams that come into the lakes because the pollution begins in the watershed. We can work with landowners to stop pollution at its source on the land before it reaches our lakes,” explained Lyn Crighton, TWF’s executive director. 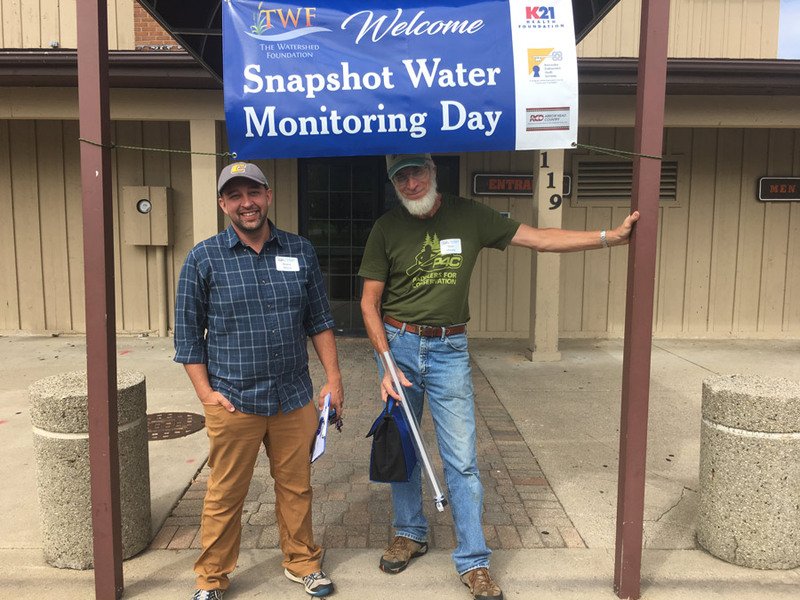 The Snapshot Day not only gives TWF valuable data, but also allows local residents to “Jump right in” and become part of a larger solution. Monitoring sites will vary from wetlands — to large streams — to small ditches through culverts on county roads. Sites have been assessed for their safety and difficulty to access — and we have a wide range for every ability. Whether you have ever waded in a stream or not, there is a site for you. The event runs from 2 to 6 p.m. It is estimated the time commitment will be 1½ to 2 hours. During registration at each staging site, TWF will provide volunteers with sampling materials, training, as well as maps, photos & directions to their testing sites. Brent Mock and Stan Moore prepare to leave the Center Lake staging site to get water samples in the Warsaw area.